Celebrates Eco Fashion & Lifestyles - Love The Nature at World Fashion Week® Malaysia 2017 #WFWMalaysia2017 from 8th to 10th September 2017 at Palace of Golden Horses Hotel. WFW Malaysia 2017 is a celebration of fashion and cultural identity with elaborate runway by fashion designers and representatives from over 100 countries around the world. As mentioned, this international fashion show will presents elaborate runway shows by country, presenting resort collections, trends and tendencies of 2018, as well as a designer and photography competitions, where the winners will join Supermodel Adriana Lima in the upcoming Hollywood TV Series "American Beauty Star" for 2018. Winners will also join the highly anticipated World Fashion Week® Paris 2017/18, among other international events. World Fashion Week Malaysia 2017 will introduce its commitment and awareness towards environmental responsibility, with a special focus in deforestation control and biodiversity preservation in Malaysia and worldwide. WFW Malaysia 2017 organized by World Fashion Week Malaysia Chapter 2017/18 is set to be officially hosted by the City of Kuala Lumpur. The World Fashion Week Malaysia 2017 Ambassador for the Environment, Yg Bhg Puan Sri To’ Puan Dato Shariffa Sabrina Syed Akil said, ‘Fashion is universal in everyone’s lives, having said that, I think is imperative that we pay attention to what we are wearing and where it came from’. 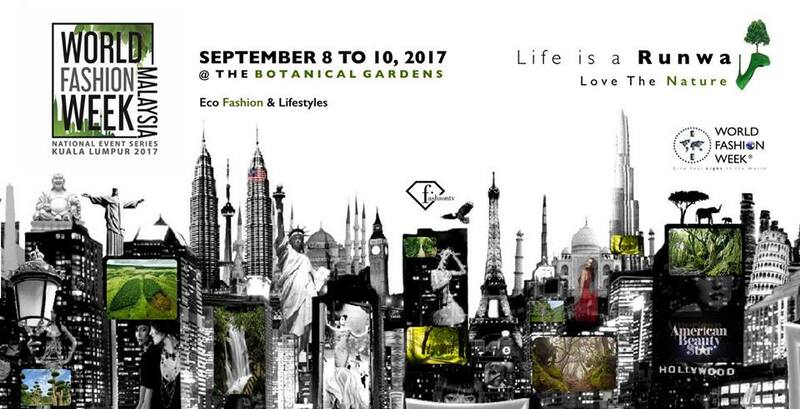 WFW Malaysia 2017 will welcome the participation of emerging talents in the fashion industry with the theme fashion through culture and nature. This event will expose emerging local designers to the international stage with 20 local participations representing Malaysia in World Fashion Week® Paris 2017. This year’s event has received an outstanding number of participants from various countries among the 110 participants there will be representatives from Spain, South Africa, Argentina, Canada, Thailand, Indonesia, Tanzania, Russia, Sweden, Mexico, Senegal, Japan, China, Vietnam, Columbia, Italy, Nigeria, USA and many more. In 2015 WFW invited Puan Maziah Mohamad, Chief Executive Officer, GID (M) Sdn Bhd to be one of the speakers for the World Fashion Exhibition and to highlight important topic - the enhancement of the textile technology in the fashion industry. This year, WFW has appointed GID (M) Sdn Bhd exclusively to organise WFW 2017 in Malaysia as collaboration with the local and international fashion industries. In regards to the bio textile importance in the fashion industry Puan Maziah stated that, ‘WFW Malaysia 2017 National Chapter is proud to welcome this astonishing event and will be an international steps for the emerging local emerging designers. As well as Bio textile and usage of sustainable material should be aligned in our Fashion industry and Lifestyle as a whole’. 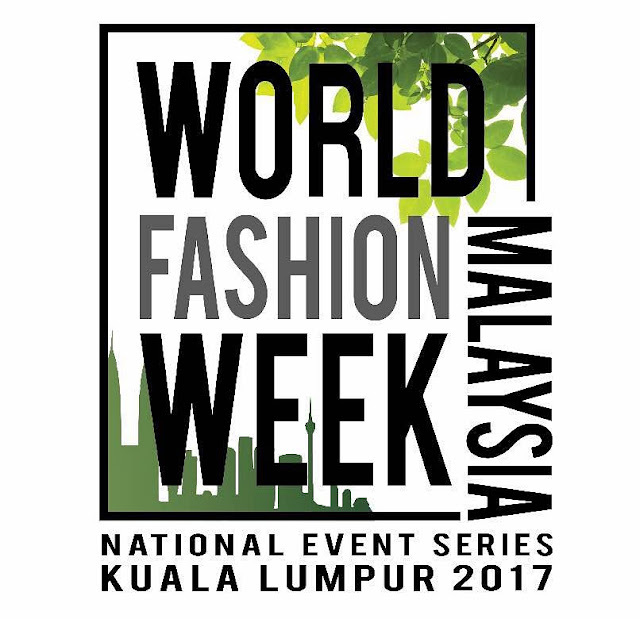 The World Fashion Week President, Mr. Paco De Jaimes said, ‘World Fashion Week Malaysia 2017 brings a new bridge of global opportunities and exposure to Malaysia talent, trade, culture and lifestyle, while protecting its environment and social responsibility, contributing towards a sustainable future for all generations’. The 3-Day event will showcase various fashion activities consisting of WFW Gala Dinner, fashion show, exhibitions as well as promotional fashion booth from fashion industry players. A line-up of fashionable pre-event will also take place beginning in August with list of competition i.e. World Fashion Supermodel (WFSM), World Fashion Exhibition (WFE), Photography Contest (WFP), Fashion Talk, Fashion Preview in August and Fashion Fun Run in September 2017. Thousands of visitors from Malaysia and the international community, as well as top buyers, retailers and international media partners including the official global broadcaster - FashionTV - reaching an audience of over 300 million people in 190 countries. To date various local designers have been selected to join the event such as Chee Yee Arun, Mohd Saiful Izham Ahmad ‘Arun Sayfull’, Nizam Zamil, Jharum by HN, Adamaya by Datin Sharifah Shawati, Nafis Jewellery by Krafdunia Design and Blitz by heintje. WFW Malaysia 2017 promotes global unity, development, as well as corporate environmental responsibility. WFW holds a major focus on the eradication of poverty in the African continent by the empowerment of women in developing countries, promoting fair trade, unity and global peace. How To Be A Master Griller?